Found a rare right above Smolderhide Thicket in Val'sharah. It had a Kelp Scuttler and an Elfin Rabbit as addons. Was able to solo and capture it with a Blood Boil (25). Had a Golden Eaglet (24) and Rabid Nut Varmint 5000 (16) to take care of the add-ons. Was a relatively easy fight. Despite the map showing them everywhere in southern Val'Sharah, I've only found them in Moonclaw Vale. They were not adds, they were freely walking amongst the satyrs and imps. Location info is incorrect. 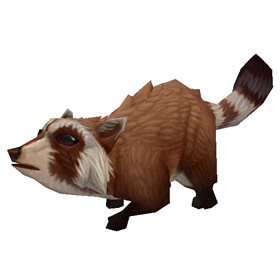 You can find this pet as a main pet. 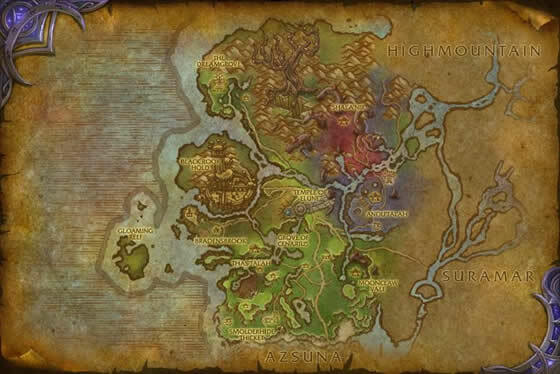 Found mine in the bottom left of Val'sharah. Found one walking around at 50,76 in the Field of Dreamers in Val'Sharah. Found mine in Val'shara 49,70. Is it three white stripes on a brown tail, or two brown stripes on a white tail?